Sadly wrecked  For sale with lots of good parts on it. I have a clean title in my name. This bus is a standard (and classic!) 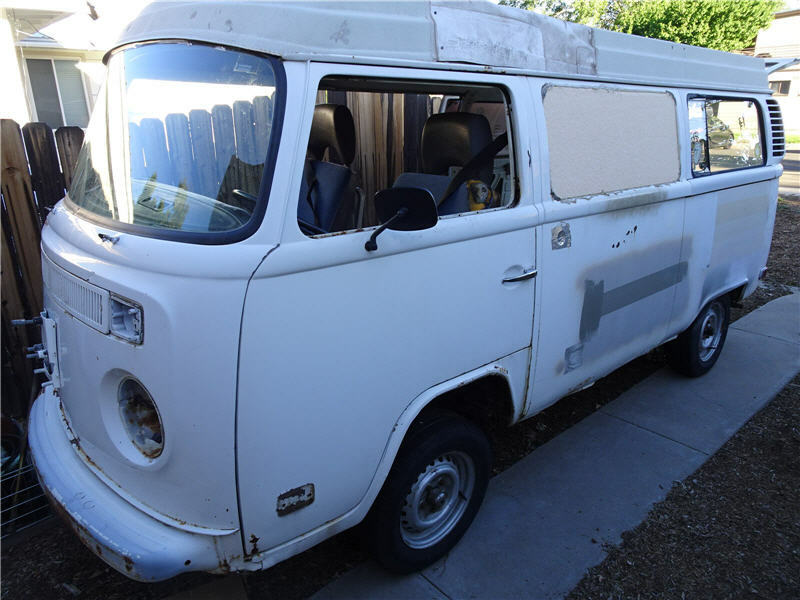 1974 Westfalia, but has been in a crash that has damaged the front passenger's side. 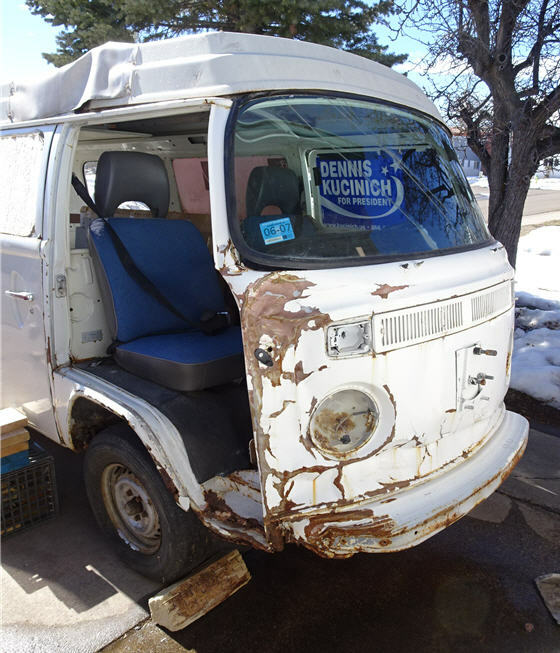 Damage is such that IMO this bus will never roll again as a registered vehicle. It would not be cost-effective to undergo the necessary body repairs. Most of the key parts of the undercarriage are rusted. The rockers, the wheel wells -- all pretty much gone, and not much to work with. The front beam is also messed up in some odd way from the crash, but this bus does rool, steer, and stop. The engine I gave to bus pilots in need.